All of us have likely heard of Bangkok, Thailand, a heavily populated, global city. 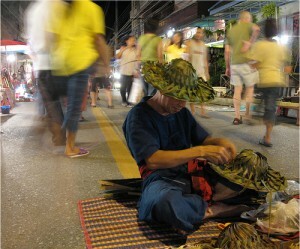 Though Thailand is a relatively small country, it has about 64 million people living there throughout various locations. If you want to relocate to Thailand, there are many other options to choose from! This is the biggest city in northern Thailand, and it is the capital of the Chiang Mai province. It is on the highest mountains in Thailand, on the Ping river. It was historically a significant trading spot on the river, and had produced many goods such as silver jewelery and wood carving. Recently, this city has undergone much modernization and has become a tourist destination. This city has a population of 150,000, but its urban and suburban sprawl region encompasses a population of one million. Nonthaburi is the capital of the Nonthaburi province. It is a satellite city and suburb of Bangkok. It has a population of 266,000. It developed as a fertile basin, located on the bank of the Chao Phraya River. 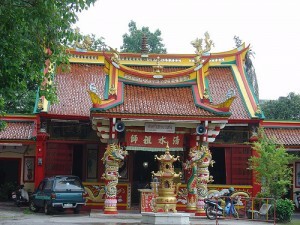 It has many plantations and Buddhist temples. Hat Yai is the biggest city of southern Thailand, in the Songkhla Province, which is on the border of Malaysia. It has a population of 157,000, but a metropolitan area of about 800,000, and is the major business center of its province. It has a tropical climate with a wet season from May to December, and a dry season the rest of the year. Its population has a high density of Islamic and ethnic Chinese citizens. Phuket is Thailand’s largest island, connected to the mainland by a bridge over the Andaman Sea. It used to be a major trading center with India and China, but it is now a major tourist destination. Its landscape is mainly mountainous, with sandy beaches on the west coast and muddy beaches on the east coast. Its capital is Phuket City, which has about 70,000 inhabitants, and the overall province has about 320,000 inhabitants. Most of the island is Buddhist, but there is also a strong Muslim population. Surat Thani is the capital of the Surat Thani Province in Southern Thailand. This city’s population is around 128,000. It is not a tourist destination, but a major commercial hub that deals with trading rubber and coconuts. Its name means “The City of Good People.” It is on the Gulf of Thailand to the North and East.